The New Orleans Ballet Association (NOBA) presents the return of the iconic Alvin Ailey American Dance Theater (AAADT) for two main stage performances on March 22 and 23 at 8 p.m. at the Mahalia Jackson Theater. It’s been nearly a decade since this amazing company has been to the Crescent City. This year the legendary dance company is celebrating 60 years as one of America’s most beloved and famous companies bringing the African-American cultural experience and dance traditions to the world’s stages. Founded in 1958 by the legendary Alvin Ailey, the company has performed for an estimated 25 million people in 71 countries on six continents and was named by a U.S. Congressional resolution as a “Cultural Ambassador to the World.” The two programs is being directed by the charismatic choreographer and AAADT Artistic Director Robert Battle. Robert Battle became artistic director of Alvin Ailey American Dance Theater in July 2011 after being personally selected by Judith Jamison, making him only the third person to head the company since it was founded in 1958. The programs consists of two completely different programs including Ailey’s timeless masterpiece, Revelations, performed during the Friday night program. Featuring brilliant music from Earth, Wind and Fire, Grover Washington Jr., and Ella Fitzgerald to legendary American jazz saxophonist and composer John Coltrane and traditional African-American spirituals. Program A on Friday, March 22, includes Stack-up by Talley Beatty; The Call by Ronald K. Brown, Shelter by Jawole Willa Jo Zollar and Revelations by Alvin Ailey. Program B on Saturday, March 23 will feature Members Don’t Get Weary by Jamal Roberts, Ella and Juba by Robert Battle, and EN by Jessica Lang. 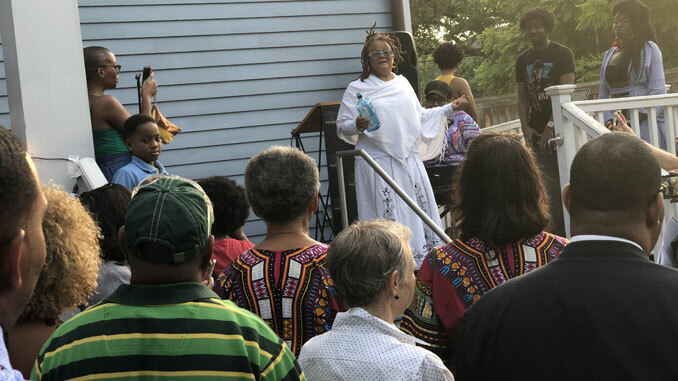 The story of the AAADT is amazing and Artistic Director is asking all in New Orleans to come out to celebrate 60 years of exploring the culture of African-Americans through dance. Single ticket prices for AAADT start at $35. Discounts are available for groups of 10 or more and students with a valid student ID. For more information or to purchase single tickets, call NOBA at 504-522-0996, Ext. 201, or visit www.nobadance.com. Single tickets may also be purchased through Ticketmaster by calling 1-800-745-3000 or visiting www.ticketmaster.com.